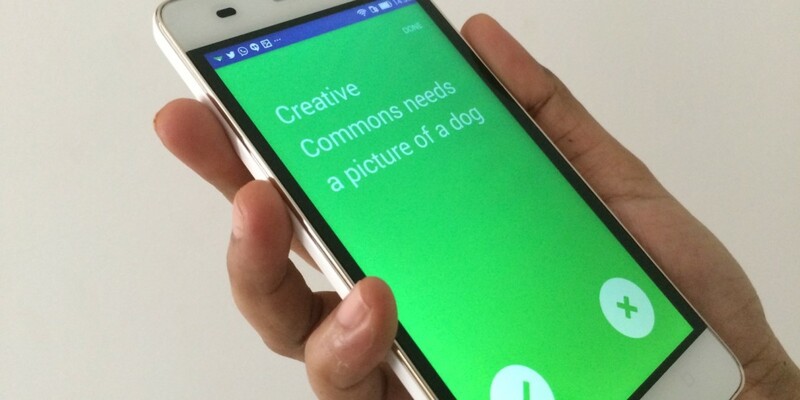 Content sharing nonprofit Creative Commons has been hard at work over a mobile app that lets people and organizations request and use images from users under an open license — ringing the death knell for stock photos. It’s called The List, because it provides lists of locations, people, objects and events that users need pictures of. Other users can view these requests and publish their own images for public use through the app. Creative Commons currently allows people to search the Web for images under its open license. Its app will open up an avenue for contributors to share their work directly with those who need it. Obviously, The List could certainly prove useful to organizations and bloggers who need relevant images to supplement their content. On the flipside, it could also provide photography enthusiasts with ideas for practicing their craft and a chance to share their work in a meaningful way. The organization has been shipping regular releases of The List for Android for a while. It still needs a bit of polish and could use a bit more imagery itself to inspire people to share quality pictures, but it already seems like a good way to reduce our dependence on stock photos.